This review is brought to you by Carole P. Roman and Awaywegomedia.com. When my kids read books they really enjoy they like to look and see if that author has written anything else. 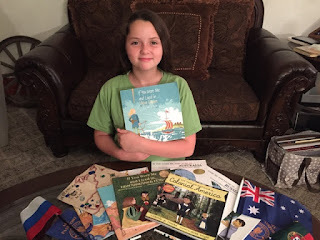 When I mentioned to Alaina that there were books up for review from Carole P. Roman she ran right to her room and brought down a pile of books and a gallon baggie full of goodies that went them. It was all of the books she owns from Carole. In the baggie she had her passport and country flags from the other books she owns. 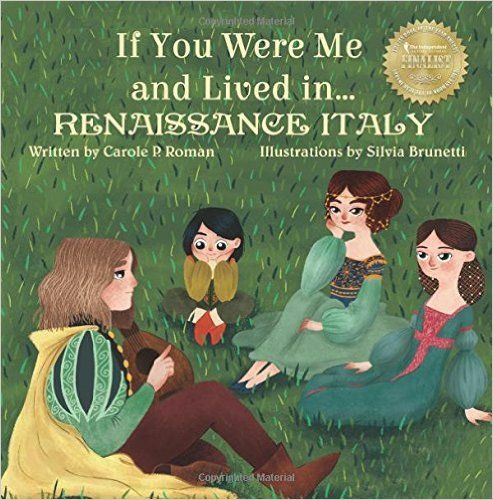 If You Were Me and Lived in...Renaissance Italy (An Introduction to Civilizations Throughout Time) (Volume 2)~ This 54 page book starts out telling kids where they would be born if they lived in Renaissance Italy. There is a map and a photo of Florance now and a picture of what it looked like in the 1400s. Not only is every day life explained, but the importance of art during the Renaissance is also discussed including pictures of famous paintings and sculptures. If You Were Me and Lived in...Colonial America (An Introduction to Civilizations Throughout Time) (Volume 4)~ In the 66 page book about being a kid in Colonial America starts by telling you that you were probably born in England, so the book starts out with an introduction of London now and then. 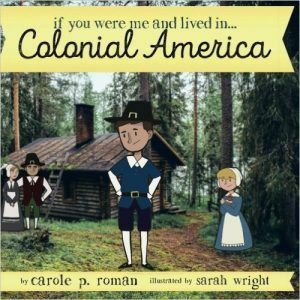 The history of Religion in American and England is discussed, there is information on the Mayflower, a new form of government, and becoming friends with the Indians. If You Were Me and Lived in...the Ancient China: The Han Dynasty ~ This one is 67 pages long and tells us about the Han Dynasty and the capital city Chang'an as well as how you would live. It tells about men's hair cuts, silk, the major religions, festivals. We learned the importance of numbers to the Chinese and about their calendar. If You Were Me and Lived in...Viking Europe~ Sixty-seven pages tell us about the Vikings, the three classes of people, the runic alphabet, and the many gods the people served. We also learned about a dowry and the importance of the grandmother in the village. As soon as our books came in the mail Alaina went off to read them. 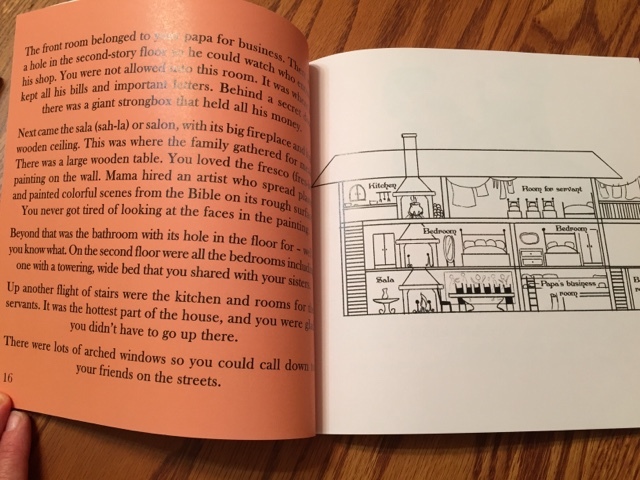 I was originally going to include some of the supplemental material Carole has available on her blog as she read them, but I didn't have a chance. Once she finished reading the books she was very excited to tell us all about them. Alaina is 11 and she loves these books. She is a very good reader, but she is still a kid and loves pictures. She was very glad that these books are longer than the If You Were Me and Lived in... other countries series by Carole. Alaina said it was hard to pick but if she had to choose a favorite it would be Ancient China, because she didn't know as much about them as the others. They also teach a lot of information other than history we normally learn, but about things kids are interested in. Their homes, their families, the games that were played and the food that was eaten. 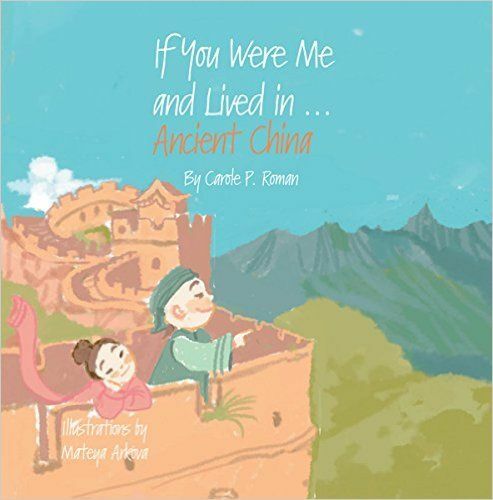 These books are great to educate your child in history, cultures, countries, or just to read for fun. 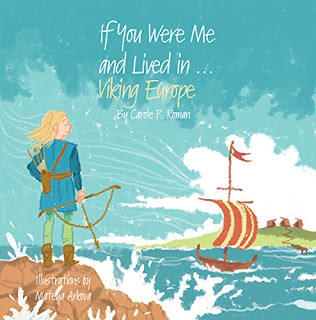 Carole P. Roman started writing her first book as a dare from one of her sons. 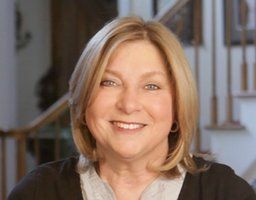 She has gone on to write 35 books and counting and they have won multiple awards. 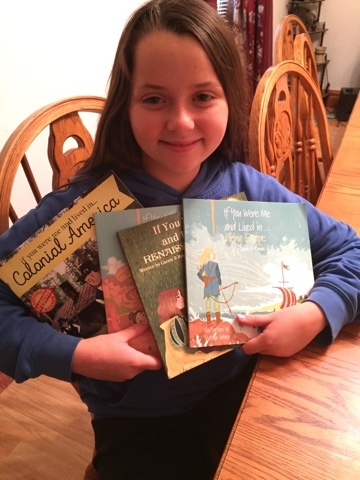 You can read reviews of the other four books at the Homeschool Review Crew blog.